Leo Casey and I just traveled to Rothesay, Isle of Bute, Scotland, where we went for a day of writing on digital literacy with Allan Martin. As you can see in the photo, it’s a beautiful island, harbor, and town. The night before was in Glasgow where managed to visit the famous Horseshoe Bar. I have a big presentation tomorrow, a keynote at the inaugural International Professional Development Association meeting, which will be held at St Patrick’s College in Drumcondra, Dublin. This entry was posted in Uncategorized and tagged ICT, literacy, media, Scotland. Bookmark the permalink. 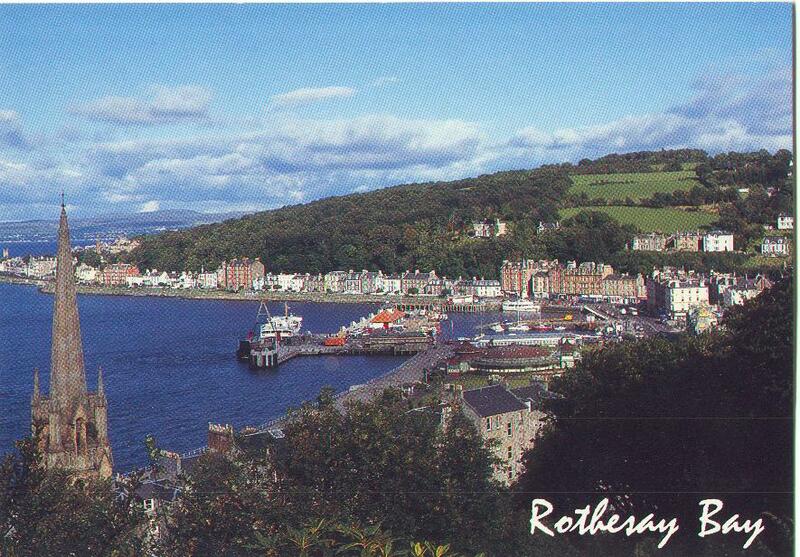 I love Rothesay, Scotland, it’s a perfect place for a little get away. I’m glad you had a great time, I was wondering, what was your favourite moment? I love walking the hills at night time.